Welcome to day 1 of my healthy eating blog. Over the next 29 days we will explore healthy eating and hear from lots of guest bloggers who will share their experiences and knowledge. You might already be a healthy eater and be looking for new ideas and inspiration or you might want to improve your diet for a variety of reasons. Either way this is a good place to be. A non judgemental place with the intention of inspiring and sharing. It might be that you use the next 30 days to make changes to your diet. I will be doing the same. I have qualifications in nutrition so I understand the impact of a healthy diet, but the theory and the practical are different things! The first place I will start is with my mindset. As a Hypnotherapist I believe that ‘what the mind can conceive and believe, the mind can achieve’. What this means to me is you’ve got to want to do it, believe you can do and set your mind to it! What makes us want to do something? Motivation is a broad and complex subject! But if you can get motivated you can be unstoppable. Motivation comes from your ‘why’. So think of a time when you were really truly motivated. Maybe you did something sporty, or saved up for something, or studied for something or drove 100 miles to get that Christmas present that was out of stock that you knew your kid would love! When you have really committed yourself to something you would have been motivated to do it and your motivation comes from the ‘why’ behind it. Your ‘why’ might not be obvious and can be interesting to explore. But for now let’s look at 5 reasons to eat healthy and maybe one of these will resonate with you. Think of a lightbulb that is running out and flickering. It can barely muster a steady glow. That’s what it can feel like to have low energy. It’s not a nice feeling. With low energy running the home and doing our jobs become much harder, not to mention having the will to exercise. Although we have physical, mental and spiritual energy, the physical is very important for us to function! The more energy you have, the more you can enjoy life to the full. If you are pumping your body full of unhealthy ingredients and sugar this may affect your sleep. I don’t know how well you sleep but I know for sure when people go sugar free, they all tell me that their sleep improves. 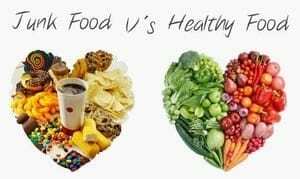 When you eat healthy food, your energy is more stable throughout the day. So when it comes to sleep time you are ready. When you are not eating randomly you might find that you are more appreciative of what you eat. You might eat a wider range of foods and as a result enjoy the tastes and flavours more. 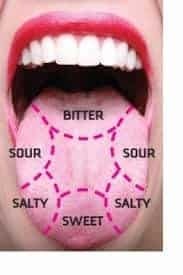 Taste is a major pleasure sensor and if you eat less sugar you will find that the sweetness that mother nature has put in fruit is actually enough. If you are eating lots of chocolate, biscuits and sweets and you reduce this, you might yourself enjoying other forms of sweetness like dates and other dried fruit. You have between 2000 and 5000 tastebuds just on the front and back of your tongue. Bring those tastebuds to life! This leads to feeling more satisfied and satisfaction can make a lot of difference to your quality of life. A by product of eating more healthily might be losing weight. This might be your big ‘why’. You might have higher self-esteem as a slimmer you. Or want to be able to wear different clothes. You might feel more attractive or be more agile when exercising. Being overweight is considered a health risk. Fat in the viscal area (round your stomach) in particular is a risk as it squashes your organs and puts them under pressure. Your risk of diabetes and heart disease are higher if you are overweight. We often use the word ‘treat’ when we are having unhealthy food. Maybe a chocolate bar or a takeaway. We do it with kids too. We use sweets as treats and bribes! But really these aren’t the treats our bodies want! Your body wants nutrients, good fats, fibre so it can it can do its best work for you. Your body thinks a treat is something different. The good news is that you can have more as most healthy treats as on the whole, they are less calorie dense. So maybe one of those five things will be your reason ‘why’. Or maybe you have a ‘why’ of your own. I would love to hear it in the comments of this blog. Can you guess this product from it’s ingredients? 91% some sort of vegetable, sugar, rapeseed oil, modified maize starch, dried skimmed milk, 0.1% double cream, paprika, acidity regulator, citric acid, rice flour, sunflower oil, basil extract, clove extract, capsicum extract, cinnamon extract, flavouring, garlic oil. Wonderful! I am following you on the 30-day challenge, but I am definitely going to make sure I follow your blog! I have a very unhealthy relationship with food and thus I am carrying an unhealthy amount of excessive weight…fat! Thank you for this wonderful offer!